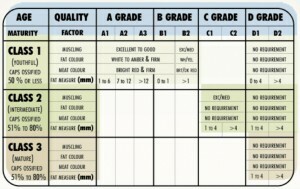 Grading is voluntary and is a service for fee provided by the Canadian Beef Grading Agency. The government of Canada maintains the regulations and grade standards. Maturity of carcass is directly related to tenderness. Youthful carcasses are the most tender. Maturity is assessed by the amount of cartilage hardening (ossification) on the ends of 9, 10, and the 11th vertebrae. Muscle development is related to meat yields. 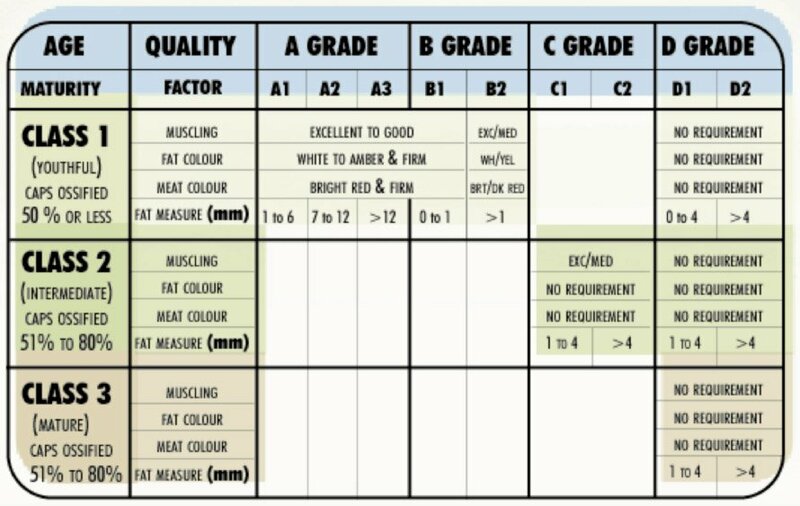 Fat colour, thickness and firmness affect consumer acceptance and meat yields. Meat colour and texture affect consumer acceptance and shelf life. Marbling descriptions are not part of the grading regulations because bison meat comes from bull animals that do not have marbling in their muscle structure. The top quality grade for Canadian bison is Grade A, followed by Grades B, C and D.
The Federal Government requires that all meats that trade across provincial or national boundaries be inspected for food safety. The inspection is done under the supervision of the Canadian Food Inspection Agency (CFIA). CFIA also inspects meat products that are imported into Canada. The Canadian inspection stamp means the meat product has met the federal food safety standards and is in compliance with government safety assurance programs. 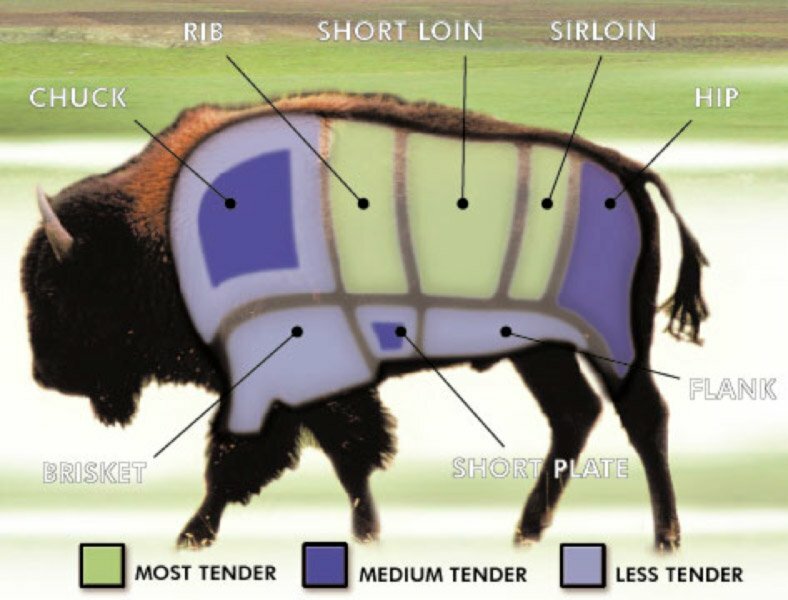 All graded bison from a federally or provincially inspected plant must have the grade clearly marked on the carcass.